To Help UMNO Win Permatang Pauh Parliamentary Seat, UMNO Will Not Contest In Cempaka To Please PAS And Distance Itself From Ibrahim Ali’s Deplorable Attacks On Tok Guru Nik Aziz Nik Mat Even After Nik Aziz’s Death. Press Statement By DAP Secretary-General And MP For Bagan Lim Guan Eng In Kuala Lumpur On 16.2.2015. UMNO Pulau Pinang is clearer stronger than UMNO Kelantan. This is demonstrated by UMNO Kelantan Chairman Mustapa Mohamed suggesting that UMNO should not contest in the Cempaka state seat that is vacant following the death of PAS spiritual leader and former Kelantan Menteri Besar Tok Guru Nik Aziz Nik Mat. Mustapa’s rationale for opting out of contesting is to focus on flood repairs and rehabilitation work, sounded so weak and unconvincing that even pro-UMNO Perkasa President Ibrahim Ali criticised it as hypocritical. In contrast to Kelantan UMNO’s reluctance, UMNO Pulau Pinang Chairman Zainal Abidin Osman is going all-out to contest Permatang Pauh parliamentary seat because UMNO Penang is confident of doing well. This suggestion of contesting in one out of two by-elections is a calculated political strategy to maximize UMNO’s strength, concentrate its resources and divide PR by pleasing PAS. To help UMNO win Permatang Pauh Parliamentary seat, UMNO will not contest in Cempaka to please PAS and distance itself from Ibrahim Ali’s deplorable attacks on Tok Guru Nik Aziz Nik Mat, even after Nik Aziz’s death. Press Statement By DAP Secretary-General And MP For Bagan Lim Guan Eng In Kuala Lumpur On 14.2.2015. 1. DAP extends our deepest condolences to the family, PAS and their members of former Kelantan Menteri Besar Datuk Seri Tok Guru Nik Abdul Aziz Nik Mat, on 12.2.2014. The late Tok Guru was highly regarded by all Malaysians, adored by Muslims and well respected by non-Muslims for his personal integrity, courage and humble lifestyle as well as deep humanity and multi-religious harmony. Tok Guru will be missed for his abiding faith in Islam, unyielding resolve to face up to the might of Barisan Nasional and UMNO; his belief in the future of Pakatan Rakyat and determination to strengthen Pakatan Rakyat to fight BN’s widespread abuse of power and corruption. 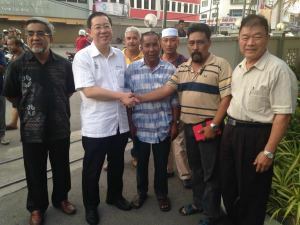 How Can Liow Tiong Lai Accept Ismail Sabri’s Meaningless Expression of Regret That Did Not Retract Nor Say Sorry To The Chinese Community For Ismail’s Lies Maligning The Chinese Community For Oppressing The Malays And That Chinese Traders Are To Be Blamed For Not Reducing Prices? Press Statement By DAP Secretary-General And MP For Bagan Lim Guan Eng In Penang On 13.2.2015. DAP condemns Agriculture and Agro-Based Industry Minister Datuk Seri Ismail Sabri Yaakob for refusing to end the racist controversy for his vicious falsehoods against the Chinese community. While this is not surprising coming from a racist UMNO Minister, it is sad that MCA President Liow Tiong Lai has meekly accepted Ismail Sabri’s illogical rationale that appear to justify Ismail’s attacks against the Chinese community. Press Statement By DAP Secretary-General And MP For Bagan Lim Guan Eng In Kuala Lumpur On 12.2.2015. Former MCA President Tan Sri Dr Chua Soi Lek is correct in judging his successor and current MCA President Datuk Seri Liow Tiong Lai as weak, cowardly and even deceitful when Liow backed down from his earlier pledge to demand in Cabinet, that Agriculture and Agro-based Industries Minister Ismail Sabri Yaakob retract and apologise for his inflammatory statement that consumers boycott Chinese traders for refusing to reduce prices and that the Chinese oppresses the Malays. Press Statement By DAP Secretary-General And MP For Bagan Lim Guan Eng In Kuala Lumpur On 9.2.2015. Yesterday’s PR Leadership Council meeting in Kuala Lumpur was the first attended by all 3 party leaders of PR in a year. Yesterday’s Leadership council meeting reaffirmed the 2009 Common Policy Framework signed by all 3 parties and that PR operates based on decision by consensus of all 3 parties, hence requires that the the twin issues of the Kelantan Shariah Criminal Code(hudud) and local government elections must first be discussed by PR Leadership Council. A special Leadership Council meeting will be held in the coming weeks to discuss both these contentious issues. DAP has adopted a firm position of restoring local government elections that was banned by the then Alliance(BN) government in 1965. Local government elections is reflected implicitly in the PR Common Policy Framework adopted in December 2009 which used the phrase “strengthen local government democracy” and explicitly in the 2013 PR Penang General Election Manifesto that specifically mentioned implementing local government elections as well as the Selangor Pakatan Rakyat 2013 General Elections Manifesto with the specific undertaking to “carry out decentralization through a gradual implementation of Local Government Elections”. This was agreed by all 3 parties in the respective states. Further, no political party in PR had ever moved a resolution in their party Annual Assembly or Muktamar opposing local government elections. The Jalan Telaga Air Mosque congregation(Ahli Qariah) in Butterworth should be held up as a sterling model for religious harmony and goodwill, in their patient wait to nab the man involved in the act of desecrating a mosque by throwing a package believed to contain pork into the compound of the Telaga Air Mosque two days ago. When I visited the mosque yesterday evening, I was surprised to be informed that this was not the first time but there were repeated incidents previously. The state government reiterates its strong condemnation of such criminal attacks as barbaric. Obviously the man had mental problems because he did not target other mosques in the same area, but only the Jalan Telaga Air Mosque and that the incidents did not only happen at night but also in the daytime. The ahli qariah had patiently waited for the man by staking out the area with police. Press Statement By DAP Secretary-General And MP For Bagan Lim Guan Eng In Kuala Lumpur On 6.2.2015. UMNO Believes That Malaysians, Including Non-Malays and Moderate Malays, Will Still Blindly Support BN Despite Their Failure To Punish Ismail Sabri Yaakob For His Racist Remark To Boycott Chinese Traders For Failing To Reduce Prices And That Malays Are Oppressed By The Chinese. Former MCA vice-president Gan Ping Sieu may not be correct that Prime Minister Najib Abdul Razak’s decision to let Agriculture and Agro-based Industry Minister Ismail Sabri Yaakob off the hook for Ismail’s false anti-Chinese racist remark, is a sign of a lethargic administration detached from the public that would hurt BN politically. UMNO believes that Malaysians, including non-Malays and moderate Malays, will still blindly support BN despite their failure to punish Ismail Sabri Yaakob for his false and racist remark to boycott Chinese traders for failing to reduce prices and that Malays are oppressed by the Chinese. At the same time, BN must have made their political calculation that they will get more Malay votes without losing non-Malay votes, by being racist and extremist in their views and even discriminate against non-Malays. 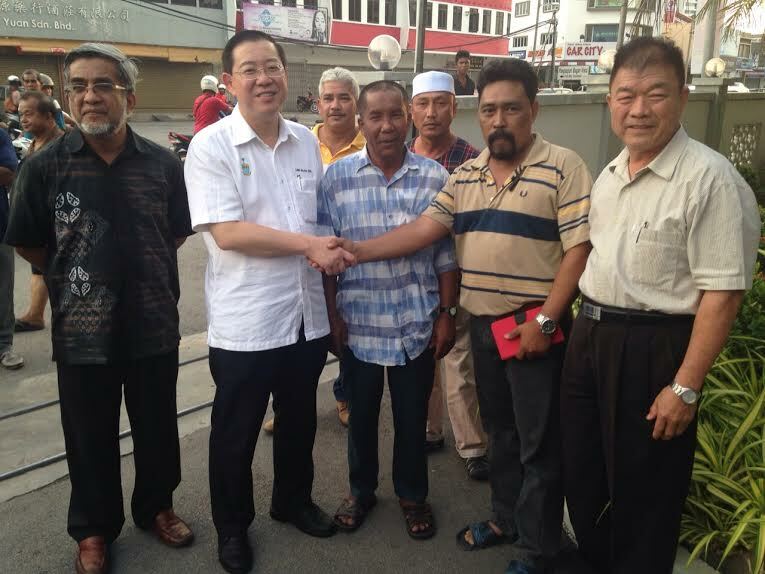 Of course a weak MCA President in Datuk Seri Liow Tiong Lai did not help. Former MCA President Tan Sri Dr Chua Soi Lek is correct when he criticised Liow as not only weak but also deceitful, when Liow claimed that Prime Minister Najib Abdul Razak understood MCA’s position. Press Statement By DAP Secretary-General And MP For Bagan Lim Guan Eng In George Town, Penang On 3.2.2015. Ismail Sabri Is Trying To Cover Up Public Opposition To 6% Goods & Services Tax(GST) And Failure Of BN To Manage Malaysia’s Economic Crisis By Falsely Blaming The Chinese Businessmen When The Chinese No Longer Control The Key Economic Sectors of Banking, Insurance, Motor Vehicles, Electricity, Rice, Sugar, Oil, Gas, Commodities, Transport And Communications. Agriculture and Agro-based Industry Minister Ismail Sabri Yaakob is trying to cover up public opposition to the 6% GST enforced on 1 April 2015, and failure of BN to manage Malaysia’s economic crisis by falsely blaming the Chinese businessmen when the Chinese no longer control the key economic sectors of banking, insurance, motor vehicles, electricity, rice, sugar, oil, gas, commodities, transport and communications. How then can the Chinese traders or businessmen be blamed for something they do not control especially when the Federal government and government-linked corporation(GLCs) controls other key sectors of the economy? Worse, Ismail Sabri said “As long as the Malays don’t change, the Chinese will take the opportunity to oppress the Malays”. Chinese oppressing Malays is an evil lie. It is ridiculous that a minority community with slightly over 20% of Malaysia’s population, is able to oppress the majority when the Federal government, security services in the army and defence are controlled by the Malays? 2015 Thaipusam Message By DAP Secretary-General And MP For Bagan Lim Guan Eng In Kuala Lumpur On 2.2.2015. To promote their standing in society and protect their economic rights, the Indian community must work with other Malaysians through the principles of democratic rights, rule of law and uphold integrity against corruption. Only when the minority work with the majority groups through fundamental principles enshrined in our Federal Constitution, can the basic human rights, political and civil liberties as well as the economic interests of all communities be protected. Unfortunately, racists and religious extremists have now gained prominence by questioning the rights and freedoms of minorities. That is why celebrating Thaipusam is so important as an endorsement of moderation and rejection of the dangerous ideas represented by these racists and religious extremists. Further celebrating Thaipusam also demonstrates that all Malaysians, Muslim and non-Muslim, Malay and non-Malay support the fundamental right of freedom of religion.